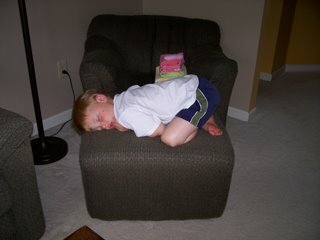 I would pay good money to be able to sleep like this little guy can! Don't remind him that he slept halfway through the movie "Cars", he'll tell you emphatically that he didn't. Wish I could fall asleep anywhere, well not anywhere, driving wouldn't be good!